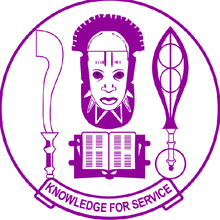 University of Benin (UNIBEN) Hostel Accommodation / Allocation Booking Payment Procedures and Guidelines for Full Time Undergraduate Students for 2018/2019 Academic Session. This is to inform all full-time undergraduates students of the University of Benin (UNIBEN) that the procedures and guidelines for hostel accommodation booking for 2018/2019 academic session has been published. Latest Update: APPLICATION FOR HOSTEL ACCOMMODATION ONLINE FOR 2018/2019 SESSION STARTS @ 2 PM; ON 24TH JANUARY 2019. *** Please Note that All Returning Students that have not yet paid charges and registered their courses Online for previous Academic Session – 2017/2018 cannot proceed to pay charges for 2018/2019 and therefore cannot apply for accommodation.